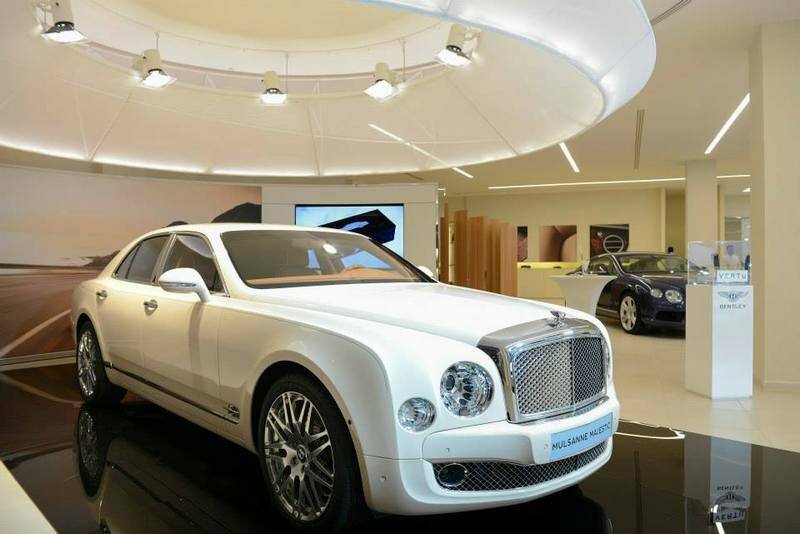 Just when you think Bentley can't on-up its own opulance, well, here comes a special model to show just how awesome the Mulsanne can be. 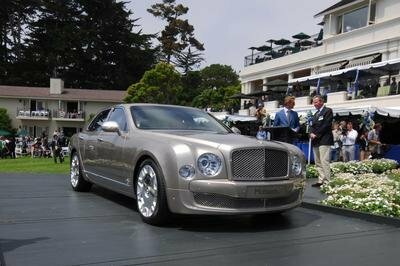 The Bentley Mulsanne was unveiled at the 2009 Pebble Beach Concours d’Elegance as a successor to the Arnage and a competitor to the Rolls-Royce Ghost. Launched in the United States for the 2010 model year, the Mulsanne also revived a nameplate previously used between 1980 and 1992. Relatively unchanged since its introduction – there was only an equipment update in 2013 — the Mulsanne awaits a much-needed facelift in 2015. 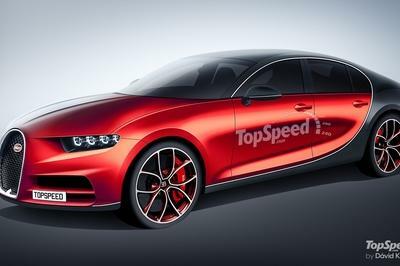 Meanwhile, the British company continues to roll out special-edition models of the luxury sedan, the latest of which is the Majestic. Specifically crafted for the Middle East, the Majestic package brings bespoke exterior paint and exclusive 21-inch wheels to the Mulsanne, as well as additional luxury features inside. Various options that enable customers to make their version unique are also available. Bentley plans to build only 15 of these cars and sell them through selected dealers in Qatar, Saudi Arabia, and the United Arab Emirates in hopes of giving Rolls-Royce’s Bespoke-crafted products a run for their money. Is the Mulsanne Majestic luxurious enough for the highly customizable and opulent Ghost Series II? Keeping reading to find out. Click past the jump to read more about the 2015 Bentley Mulsanne Majestic. I can't decide whether the chrome grille is a tasteful addition or not. The first thing that catches the eye when looking at the Mulsanne Majestic’s front end is the striking contrast between the Special Ivory paint and the massive grille. Naturally, the color is exclusive to this limited-edition model, while the grille, which otherwise sports a body-color finish, has been dressed in high-sheen chrome to add even more opulence to this massive looking limousine. I can’t decide whether the chrome grille is a tasteful addition or not. A single fine line in Saddle drawn along the waistline complements the light ivory paint. While the bespoke paint job and the distinct 21-inch, Mulliner, alloy wheels might not be enough to set this Mulsanne apart from its standard siblings at first glance, the "Majestic" badges adorning the front wheel arches should do the trick. Other than that, the Majestic is pretty much a standard Mulsanne, meaning the 15 customers set to buy this limited-edition limousine will enjoy the same exterior the North American market received for the 2014 model year — essentially a carryover from the 2012 update. Soft, Dark Tan mats with Magnolia binding cover the floors, while black curtains in the rear keep the paparazzi away for added comfort. The interior is where the Mulsanne Majestic really shines, as the company’s Crewe-based craftsmen gifted this massive four-door with a unique cabin layout. This particular example, which is a member of the five models sold to customers in Qatar, features a brown leather interior with Magnolia (a light, creamy color) binding, seat belts and door panels. Soft, dark tan mats with Magnolia binding cover the floors, while black curtains in the rear keep the paparazzi away for added comfort. The five Majestics built for Qatar dealerships also come with Majestic-branded iPad tables, "Majestic" badging on the cup holder lid and waist rails, as well as two loose cushions trimmed and piped in the same hide as the seats. Customers can also opt for a refrigerated bottle cooler with frosted glasses and crystal flutes. Fancy! There’s no word whether these features will also be offered on the cars set to go on sale in Saudi Arabia and the United Arab Emirates, but Bentley says "each car is unique in its trim and ‎specification‎," making the Majestic a limited-edition run of individual models. Pretty much what Rolls-Royce customers can get with the Bespoke program. 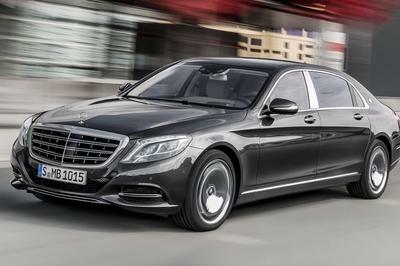 The 184-mph top speed rounds off the impressive collection of performance figures this luxury sedan can brag about. Motivating the Majestic is the exact same twin-turbo, 6.75-liter, V-8 engine found in the standard Mulsanne. The mill cranks out 505 horsepower and a whopping 752 pound-feet of torque from only 1,750 rpm, with a ZF-built, eight-speed transmission routing it to the wheels. The Mulsanne needs 5.1 seconds to accelerate from 0 to 60 mph and 11.6 seconds to hit 100 mph from a standing start. 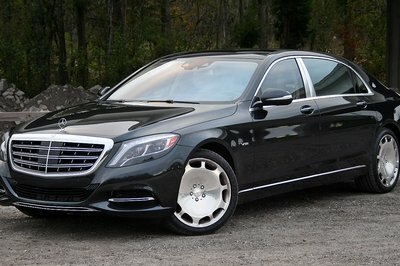 The 184-mph top speed rounds off the impressive collection of performance figures this luxury sedan can brag about. However, with the Rolls-Royce Ghost capable of hitting 60 mph in only 4.7 seconds, the Mulsanne isn’t the quickest vehicle in this segment. The Bentley is also down 57 ponies compared to the Rolls, although its V-8 is 177 pounds torquier than the latter’s V-12. Bentley hasn’t released pricing for the Mulsanne Majestic, but it should retail for at least $350,000 in any of the three markets it was built for. Qatar, Saudi Arabia, and the United Arab Emirates will each get five Majestic special-edition models, rounding off the entire production to 15 units. 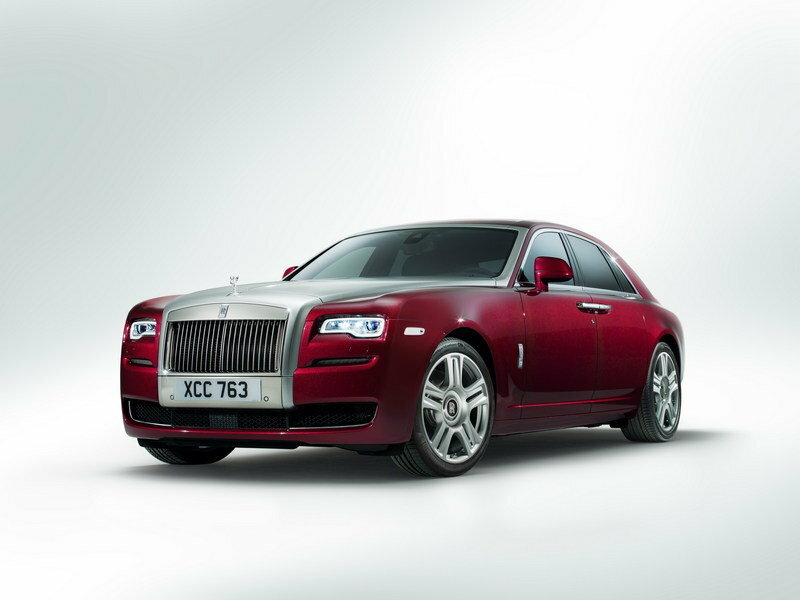 Much like the Bentley Mulsanne, the Rolls-Royce Ghost has remained mostly unchanged since its introduction in 2010. The first facelift came for the 2015 model year, when the Brits performed minor exterior changes that included reshaped LED headlamps, revised bumpers and enlarged air intakes up front. Inside, the Ghost gained redesigned front and rear seats, new veneers, and new chrome inserts. 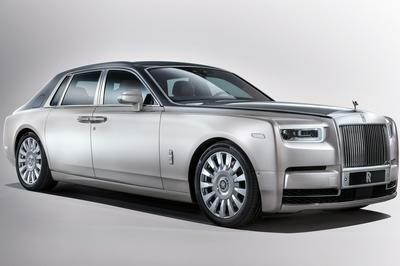 Motivating the Ghost Series II is the same twin-turbo, 6.6-liter, V-12 engine as its predecessor. Output remaines unchanged at 562 horsepower and 575 pound-feet of torque, as does the 4.7-second sprint from 0 to 60 mph and the 155-mph top speed. The ZF-sourced, eight-speed automatic transmission remains standard. The 2015 Ghost Series II fetches about $270,000 before options, making it slightly more affordable than the current Mulsanne, which retails from around $290,000. When it comes to customer-tailored luxury vehicles, Rolls-Royce’s Bespoke program is arguably the No. 1 choice in the Middle East, where money is no object and gasoline is cheaper than water. Granted, Bentley is no stranger to special-edition models that boast added luxury features and unique paints, but the Crewe-based manufacturer has yet to match the prestige of its BMW-owned rival. At first glance, the Majestic edition aims to take the Mulsanne’s customization potential up a notch — and what better place to test it than the Middle East — but it remains to be seen whether it will manage to match the glamor Rolls-Royce’s Bespoke products benefit from nowadays. 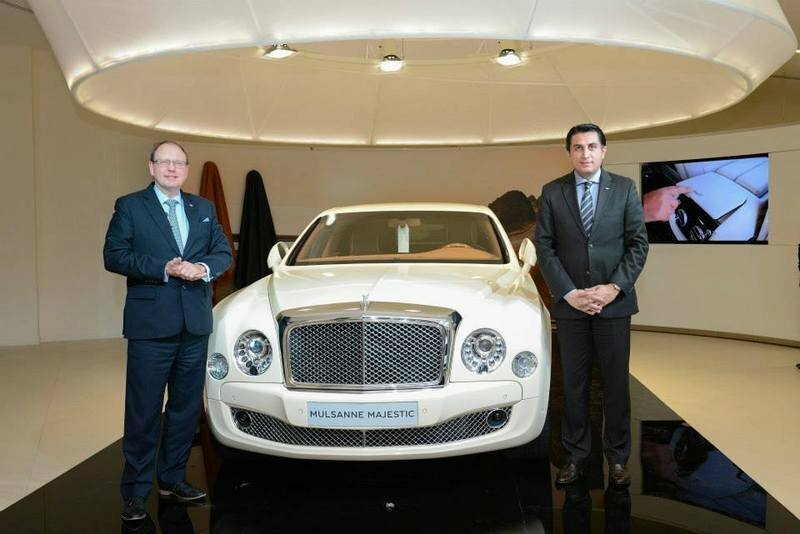 Showcased at an exclusive event for VIP customers on Sunday, the Bentley Mulsanne Majestic has been launched in Qatar by Al Wajba motors. Limited to just five models for the Gulf state, the Mulsanne Majestic, inspired by royalty, has been highly anticipated by luxury car collectors across the country. Derived from the Bentley Mulsanne flagship, the Majestic is the definitive example of exclusive handmade luxury and performance. The car boasts astounding levels of specification, exclusive only to this model, making it a must have collector’s item for Bentley enthusiasts. 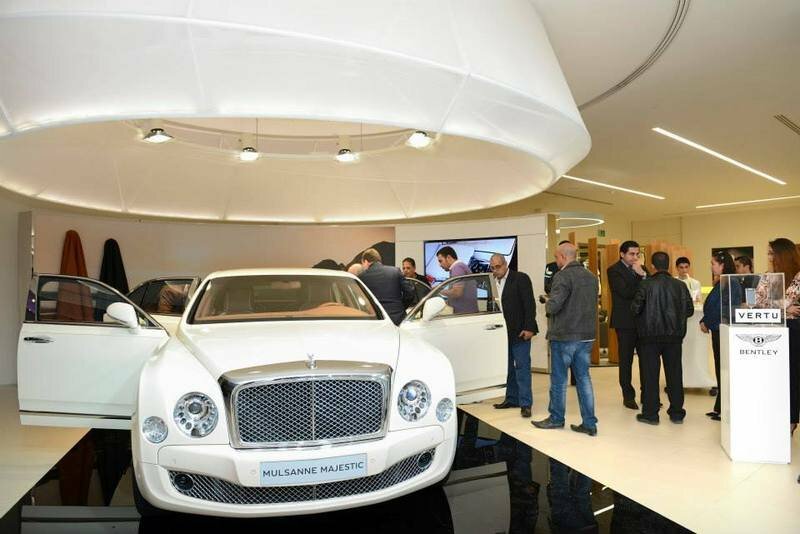 The car displayed to assembled guests at the launch event featured a stunning Special Ivory‎ exterior with a single fine line in Saddle to compliment the car’s neutral tone. The theme continued on the interior with striking Magnolia on the seats, seat belts and panels. The car was fitted with Dark Tan carpets with Magnolia binding and deep black curtains in the rear for added privacy. All the Qatar Mulsanne Majestics come with a host of luxury options, including ‘Majestic’ wording inlaid on the rear iPad tables, further ‘Majestic’ badging on the cupholder lid and waistrails, and two loose cushions, trimmed and piped in the same hide as the seats. The cars will also receive the refrigerated bottle cooler, with frosted glasses and crystal flutes. A striking example of both contemporary and classic style, the Mulsanne Majestic features distinctive 21” Mulliner branded five spoke alloy wheels, exclusively designed for the special edition. Along the front wheel arches the model features ‘Majestic’ badges to set it apart from the standard Mulsanne. At the heart of the car lies Bentley’s iconic, powerful 6¾-litre twin-turbo V8 engine, which gracefully compliments the car’s sophisticated exterior. The accentuated dual character of performance and luxury continues Bentley’s drive to combine the two worlds of luxury and ‎performance together in one handcrafted car.